But every year thousands of research papers are published, some of which contradict each other. How can busy teachers know which research is worth investing time in reading and understanding? 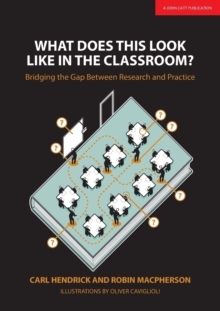 And how easily is that academic research translated into excellent practice in the classroom In this thorough, enlightening and comprehensive book, Carl Hendrick and Robin Macpherson ask 18 of today's leading educational thinkers to distill the most up-to-date research into effective classroom practice in 10 of the most important areas of teaching.The result is a fascinating manual that will benefit every single teacher in every single school, in all four corners of the globe.